Miguel is a 9 year old who loves school and learning new things. Miguel loves reading and writing. 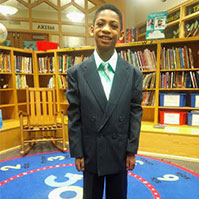 Miguel also loves video games and playing sports and basketball is his favorite. Most of all Miguel loves to have fun!